Best Prices! Free Delivery! 90 Day Money-Back Guarantee! Satisfied Customers! Create any package combination and receive a customized quote. 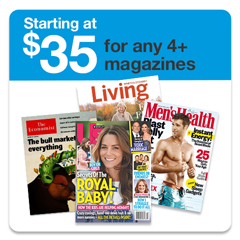 Prices start as low as $35 for 4 or more magazines. 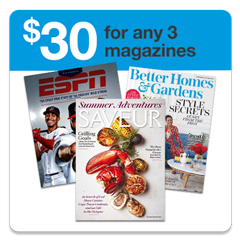 Each Magazine is for a 1 year term. Add as many magazines as you like. The more you purchase the better the price quote you receive. Offer can not be combined with any other promotion or coupon code. You save % which is $ off the full retail price. Need Help? Contact us anytime. © 2009 - 2019. 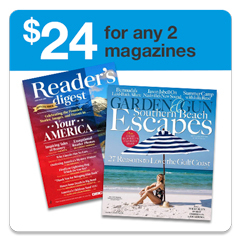 MagazineDeals.com All Rights Reserved.